one that quickly turned out of sight as it twisted upward. out of reach while our feet are still firmly planted in familiarity and fear. 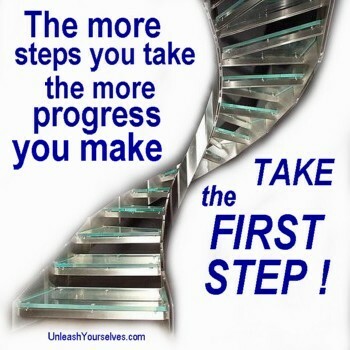 because we are unwilling to take that first step. Ah yes, that first step. For those of you with children, were you there to see your baby’s first steps? were looking at what or where their next step was. They were looking at where they wanted to be! AND THEY TOOK ACTION TO GET THERE. At some point every one of them put one foot forward – and moved. And guess what? They were one step closer to where they wanted to be. OHHHHHHHH please get how simple yet profound and AWESOME that is. Listen… if you’re stuck in some area of your Life, do this. Take a minute & take deep breath with me. Take another one. - you cut off the opportunities of what could be. and move forward in fearless assurance than right now. at your fingertips in this ‘net linked world we live in. So get off any destination procrastination you have. all the steps before you’ll take any. You’ll never get to any of them until you take that first! that is your comfort zone of familiarity… and failure.